Super Savings Item! 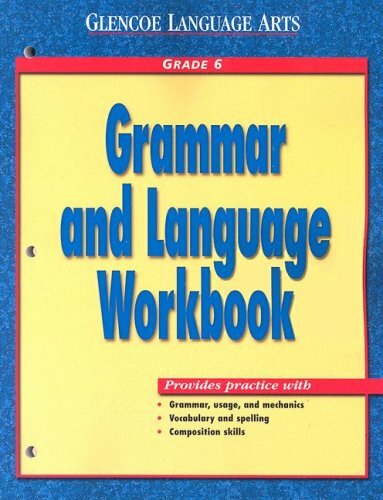 Save 36% on the Glencoe Language Arts Grammar And Language Workbook Grade 6 by Glencoe/McGraw-Hill at Translate This Website. MPN: FBA-|291885. Hurry! Limited time offer. Offer valid only while supplies last. The Grammar and Language Workbook offers sequential language instruction along with extensive drill and practice in grammar, usage, and mechanics. The Grammar and Language Workbook offers sequential language instruction along with extensive drill and practice in grammar, usage, and mechanics. This important tool includes a handbook as well as vocabulary, spelling, and composition lessons. View More In Test Preparation. If you have any questions about this product by Glencoe/McGraw-Hill, contact us by completing and submitting the form below. If you are looking for a specif part number, please include it with your message.